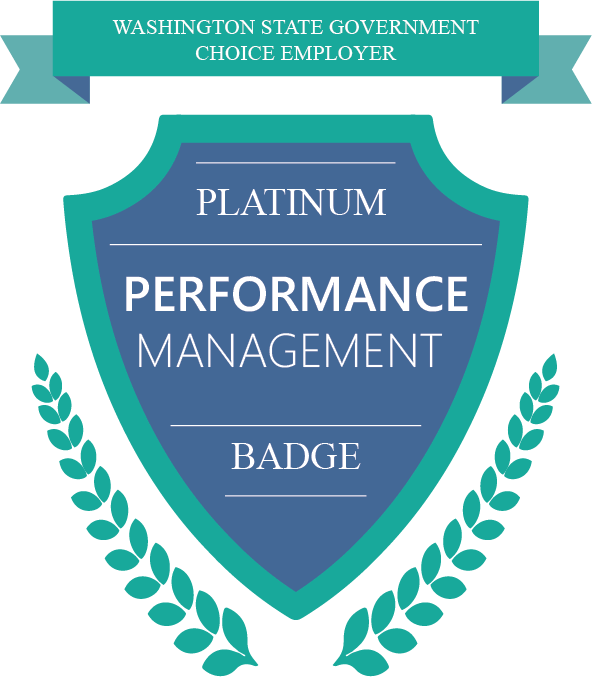 Our Performance Management Program was revitalized in 2017 with a number of initiatives that led to the office being recognized as a platinum level Choice Employer by the Office of Financial Management. We are the first, and only, agency in the state to earn this distinction under the Choice Performance Confirmation program, allowing us to award performance-based leave to staff who exceed the requirements of their position. Our revitalization efforts included, among many other improvements, a formalized process for supervisors and staff to meet regularly to discuss performance, a simplified ePDP and a web dashboard dedicated to program information, resources, and training. We continue to strive to improve our program, as our commitment to a transparent performance-based work culture is a hallmark of our office.